Scavolini has been producing kitchens for over 50 years. Vast experience built up over time, responding to the tastes and trends of almost three generations of consumers. From a small workshop the company has grown to major industrial status, pursuing its growth aims through all the necessary stages with toughness and determination with absolute respect for the public at large, and in harmony with the needs of its surrounding area. Its history - a crescendo of initiatives reflecting its ability to adapt innovatively to changes in taste, lifestyle and the market and the advent of each wave of new technologies - is a striking example of corporate growth, nowadays taken as the benchmark model for the entire industry. 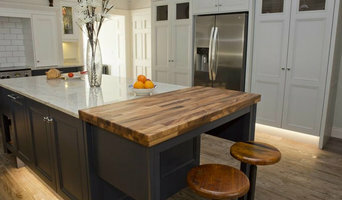 We design custom kitchens and manufacture our own cabinets providing a seamless experience from concept to completion. Our designers work with you to create a space perfect for your home & needs. Designers and manufacturers with strong influences from English, French and The Hamptons New york built in furniture. Our family owned company manufactures our kitchens and cabinets using the very best Australian & European components and tradesmen here in Melbourne. We have over 25 years experience in the industry. Revamp your cooking space with our exclusive kitchen designs. With an array of designer brands to choose from we’ll have your kitchen looking refurbished, luxurious & uniquely designed. 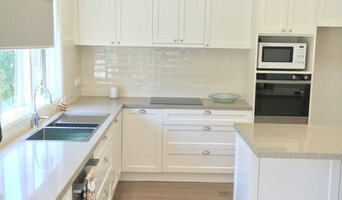 In2 Kitchens is a family owned and operated local company which specializes in quality custom Australian made kitchens at an affordable price. We pride ourselves on the personal touches which make your renovation process or new build a more enjoyable experience. During the initial consultation process we listen, take notes and address the specific requirements of each client to deliver the desired outcome- a beautiful, efficient functional centre of the home. We use kitchen specialized CAD software which enables us to design and illustrate your new kitchen in colour 3D before it is even built. At In2 Kitchens we build the kitchen ourselves from all the major top end brand name finishes and hardware. We can also coordinate the other trades required to get your new kitchen up and running or simply install the kitchen only. It’s your choice. In2 kitchens can do more than just kitchens- talk to us about your laundry and bathroom cabinetry as well. This year marks 40 years in the industry for Smith & Smith. We love efficiency, craftsmanship and great design. It is our joy to provide our clients with kitchens that are functional and stylish. We want to make sure that every Australian and New Zealand household can design and install their own kitchens. So, we set out on a mission to make the whole DIY process as easy as possible. Haberfield Holdings Pty. Ltd is Melbourne’s renovation specialists. Our team of professionals are specialized in Bathroom, Kitchen & Laundry renovations. We have every aspect of you renovations covered; our tradespeople are experienced professionals who are friendly, efficient and clean. Why Haberfield Holdings? 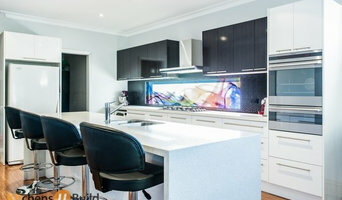 • Excellence Every Time • Exceptional Customer Service • Best Work with Your Budget • Our Tradespeople •Obligation Free Quote If you are looking for an experienced professional Licensed Bathroom, Kitchen & Laundry specialist Renovations Company to supply and oversee, manage and schedule the contractors then contact us today on (03) 93302910. S & W Kitchens & Bathroom is a One – Stop – Shop for measurement, Design, assembly and installation in for your Kitchen, Wardrobe, Laundry and Bathroom. We are a family business creating innovative kitchens, bathrooms and wardrobe solutions. Sukie is a Registered Building Practitioner ( Builder ), the owner and designer; she will work directly with you as a single point of contact from concept through detailed design to completion. Sukie will discuss your needs and budget, designing a concept that enhances your lifestyle. She will help you determine the most appropriate materials and design, personally overseeing installation and trades to ensuring a final finish that will delight you. We appreciate your kitchen or bathroom is central to your home and will work to make the process of creating your new kitchen or bathroom as rapid and trouble-free as possible. Sykora is one of Europe’s fastest growing contemporary kitchen brands. After worldwide recognition, we opened our first showroom in Australia at 700 High St, Praharan. 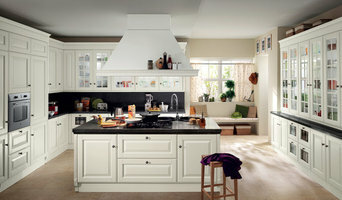 Award winning kitchens from Europe. Sykora designs and build kitchens, bathroom and living room featuring the ultimate combination of traditional artistry and modern precision. Our contemporary styling is timeless; our outstanding quality endures. Our use of quality materials and state-of-the-art technologies combine with exceptional craftsmanship to set the standard for excellence which defines the kitchens we build. With a Sykora design, you can feel secure about every surface, joint and piece of hardware. We make sure our designs only use the most up-to-date technology available from the best suppliers in the European market. 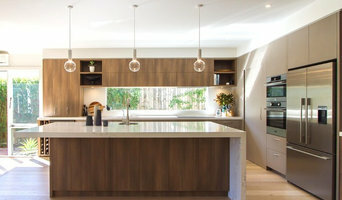 Melbourne's Kitchen, Bathroom & Interior Renovations Specialists. we are specialized in kitchen cabinets and Blinds with best quality and price .Free quote and design in 3 days. Custom designed and manufactured outdoor stainless steel kitchens and BBQ areas. The kitchen is surely the most complex room of the house and therefore the most important to get right as you will live and work with the results for years to come. The bulthaup brand gives you the reassurance that you are working with dedicated, qualified people, who possess every means possible to make sure that your project is tailored to your specific needs. We believe it is our persistent attention to the smallest detail and our level of commitment that has been and will continue to be the key to our success. It is our brand’s aim to exceed our customers’ expectations with not only the best quality product available but also an unrivalled service both in terms of design and most importantly, installation.